Today we’re teaming up with Kohl’s to show you one more Easter and Springtime themed craft before you celebrate this weekend! 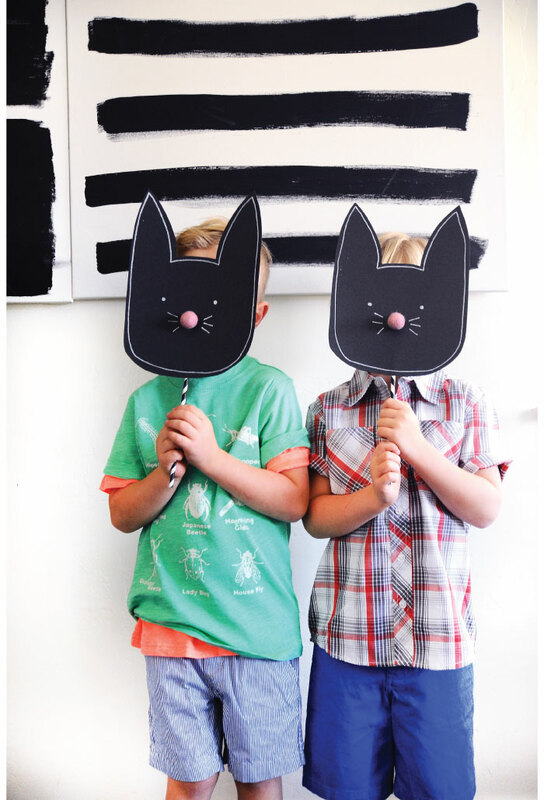 This one is fun for kids from start to finish and makes for a cute photo op, too! Even better it won’t hide their cute Easter outfits. Dash chose this super cool glow-in-the-dark bug t-shirt layered with this perfect for Summer jersey tee that we bought in every color, it’s the best! And awesome seersucker shorts that are so perfect for Sunday or play! For Hayes he loves the breezy (his words, not ours!) feel of a button-down shirt and we love stocking up on their Chaps flat front shorts, they’re so great and always look polished. 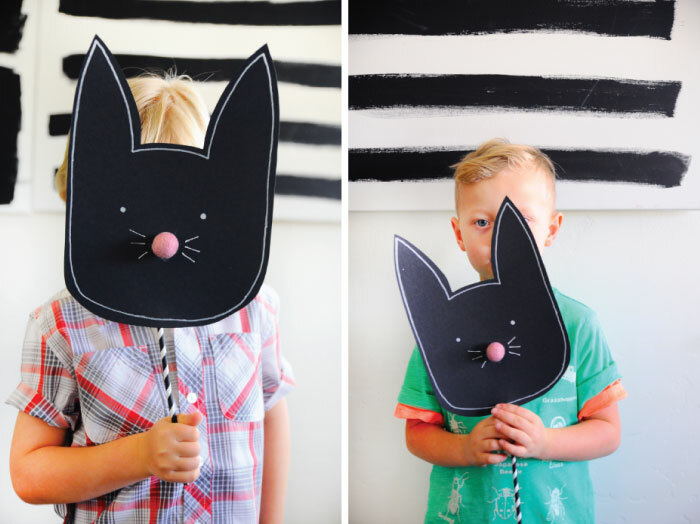 Now here’s how you’ll make these cute bunny masks! 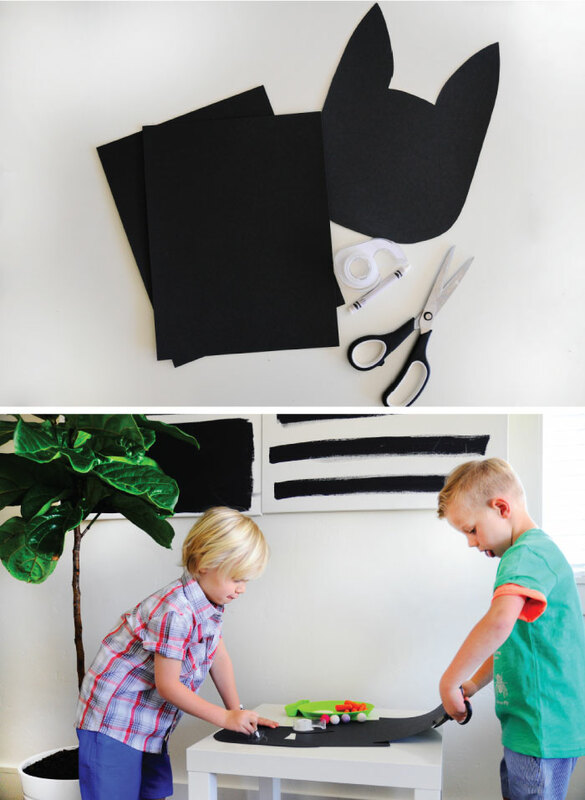 Just grab cardstock – we love the black cardstock and white crayon. Cut a bunny face out and then trace the face shape with your crayon for effect. Please note both Hayes and Dash’s concentration faces. Priceless! Then you can add the face and a fluffy bunny nose (felt balls found here!) Then tape on a craft stick and you’re all set! Rabbit Dip plate from here. 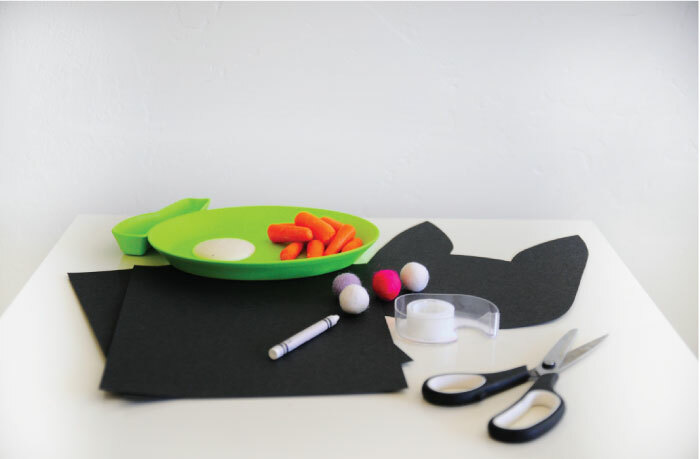 Thanks to Kohl’s for helping us make today’s Spring craft so stylish! We can’t get over how great each piece is, high quality and super affordable too! See all their Spring sales right here.